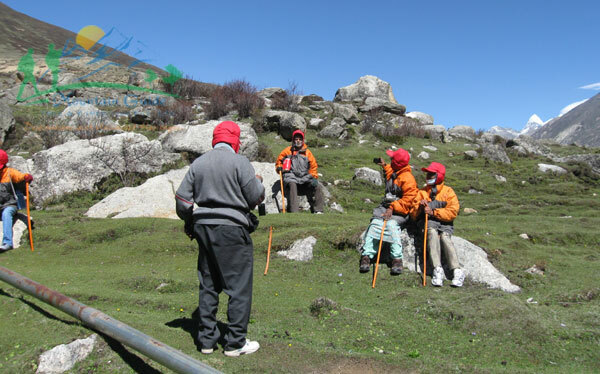 The Simikot Kailash Trekking route opened in 1993 for travelers. 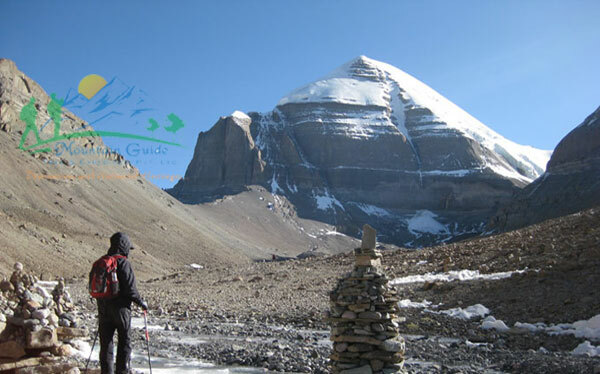 Simikot Kailash Tour route is the shortest and most practical route for trekkers in terms of both elevation and distance. The tour to Mt. 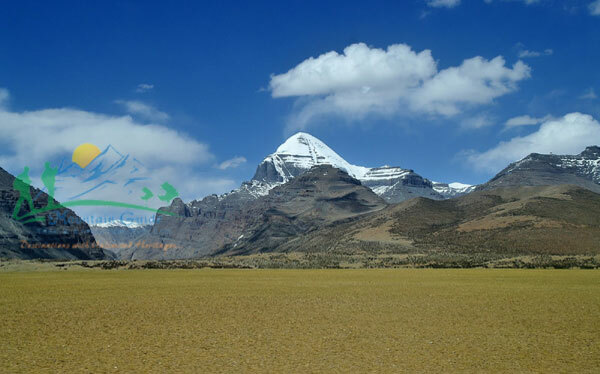 Kailash commences from Simikot, which is situated at an elevation of 3000 meters, and climbs up to Na-Lagna pass (4340 meters) before reaching the arid Tibetan Plateau. From Simikot, it is a 5 days journey to reach the Tibetan border town, which is plenty of time to be acclimatized for high altitude. Mt. Kailash is a peak in the Gangdise Mountains, which are part of the Himalayas in Tibet. It lies near the source of some of the longest rivers in Asia: the Indus River, the Sutlej River (a major tributary of the Indus River), the Brahmaputra River, and the Karnali River (a tributary of the Ganges River). It is considered a sacred place in four religions: Buddhism, Hinduism, and Jainism. In Hinduism, it is considered to be the abode of Lord Shiva and a place of eternal bliss. The mountain lies near Mansarovar Lake and Rakshastal Lake in Tibet. 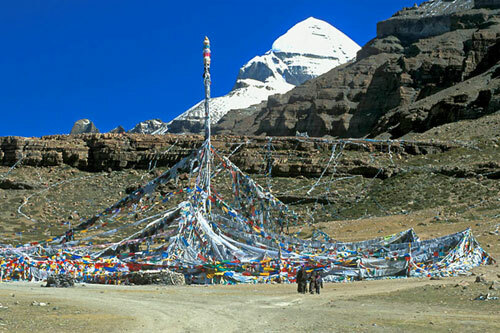 There have been no recorded attempts to climb Mount Kailash till now; it is considered off limits to climbers in deference to Buddhist and Hindu beliefs. It is the most significant peak in the world that has not seen any known climbing attempts. Mansarovar Lake lies at 4,556 m above the sea level, and it is only one of the highest freshwater lakes in the world, and is relatively round in shape with a circumference of 88 km. Its depth is 90 m (300 ft) and its surface area is 320 square kilometers (120 sq mi). The lake freezes in winter and melts only in the spring. It is connected to nearby Lake Rakshastal by the natural Ganga Chhu channel. Day 02: Kathmandu: Sightseeing and Tour Preparation in Kathmandu. Day 03: Fly to Nepalgunj (450m), 40min. Day 04: Fly to Simikot (2960m), 30min. & Trek to Dharapari (2300m), 3-4 hrs. Day 05: Trek to Kermi (2670m), 6-7 hrs. Day 06: Trek to Yalbang (3020m), 6-7 hrs. Day 07: Trek to Tumkot (3200m), 6-7 hrs. Day 09: Trek to Hilsa (3720m)/3-4 hrs. (Over Nara La 4580m), drive to Purang (3900m), 3-4 hrs. Day 10: Drive to Mansarover (4590m), 6-7 hrs. Day 11: Drive to Tsaparang (Tsada) (3650m) 7-8 hrs. Day 12: Drive to Guge, 6-7 hrs. Day 13: Drive to Toling (3650m), 5-6 hrs. Day 14: drive to Tarboche (4500m), 5-6 hrs. Day 15: Trek to Dira Puk (4900m), 5-6 hrs. Day 16: Trek to Zutul Puk (4790m) Over Dolma La 5600m, 6-7 hrs. Day 17: Trek to Darchen (4620m) - Drive to Manasarover 4590m), 6-7 hrs. Day 19: Drive to Zhangmu, 7 hrs. Day 20: Drive to Kathmandu, 8 hrs. Day 21: Farewell Friend (Final departure to your onward destination). Day 04: Fly to Seiko (2960m) & Trek to Dharapani (2300m), 3-4 hrs. Day 08: Trek to Yari (4000m), 7-8 hrs. Day 09: Trek to Hilsa (3720m) (Over Nara La 4580m) & drive to Purang (3900m)3-4 hrs. Day 11: Drive to Tsaparang (Tsada) (3650m), 7-8 hrs. Day 13: Drive to Toling (3650m). Day 14: Drive to Tarboche (4500m). Day 16: Trek to Zutul Puk (4790m) / Over Dolma La 5600m, 5-6 hrs. Day 17: Trek to Darchen (4620m) to Drive to Manasarovar 4590m, 5-6 hrs. Day 18: Drive to Saga, 6 hrs. Day 20: Drive Zhangmu to Kathmandu (1400m) 160km, 8 hrs. Accommodation as per itinerary on twin sharing with Full Board Meals Plan. Expenses of private nature such as Laundry, Telephone calls, Beverages, Tips, etc. Any loss arising due to unforeseen circumstances such as accidents, Road blockage due to landslides, flight delays or cancellations due to weather or technical problems, etc. The following is a list of clothing and accessories that we recommend for Simikot Kailash Trekking Tibet. This is not intended to be a comprehensive clothing and equipment list; rather it is intended to act as a reminder of those items that we are feel necessary for your comfort and convenience. However we recognize that you may have your own personal preferences for clothing which may be equally as suitable.